Mid-to-Late stage dementia often presents challenging behavior problems. The anger, confusion, fear, paranoia, and sadness that people with the disease are experiencing can be very frustrating for other family members who are trying to cope as best they can. 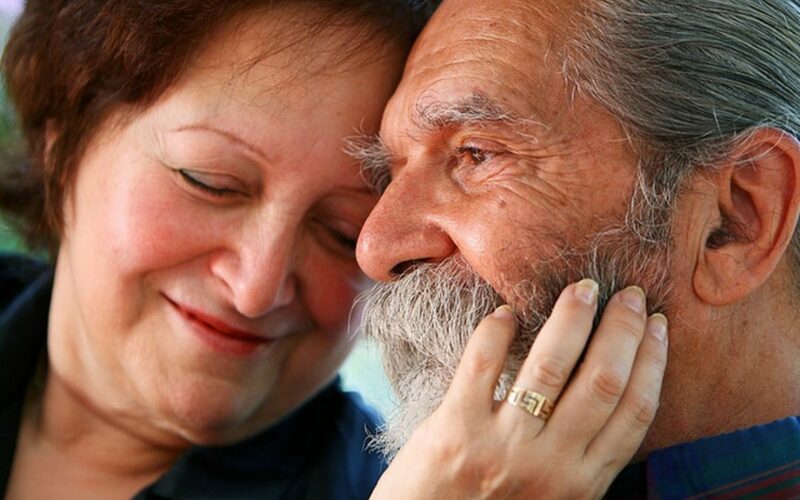 While frustration can at times seem insurmountable, there are definite strategies that family members can implement when interacting with their loved ones involved with dementia. Familiarize yourself with some of the common situations that arise when someone has dementia, so that if your loved one says something shocking, you’ll know how to respond calmly and effectively. Explanation: The most important thing to remember about verbal or physical aggression, says the Alzheimer’s Association, is that your loved one is not doing it on purpose. Aggression is usually triggered by something — often physical discomfort, environmental factors such as being in an unfamiliar situation, or even poor communication. DO: The key to responding to aggression caused by dementia is to try to identify the cause — what is the person feeling to make them behave aggressively? Once you’ve made sure they aren’t putting themselves (or anyone else) in danger, you can try to shift the focus to something else, speaking in a calm, reassuring manner. DON’T: The worst thing you can do is engage in an argument or force the issue that’s creating the aggression. Don’t try to forcibly restrain the person unless there is absolutely no choice. The biggest way to stop aggressive behavior is to remove the word “no” from your vocabulary. Explanation: Wanting to go home is one of the most common reactions for an Alzheimer’s or dementia patient living in a memory care community. Remember that Alzheimer’s causes progressive damage to cognitive functioning, and this is what creates the confusion and memory loss. DO: There are a few possible ways to respond to questions that indicate your loved one is confused about where he or she is. Simple explanations along with photos and other tangible reminders can help. Sometimes, however, it can be better to redirect the person, particularly in cases where you’re in the process of moving your loved one to a facility or other location. DON’T: Lengthy explanations or reasons are not the way to go. In most cases, trying to reason with someone with Alzheimer’s or dementia is almost impossible and you may actually be triggering a negative response because of the questions we’re asking. Explanation: The deterioration of brain cells caused by Alzheimer’s is a particular culprit in behaviors showing poor judgement or errors in thinking. These can contribute to delusions, or untrue beliefs. Some of these problems are obvious, such as when someone is hoarding household items, or accuses a family member of stealing something. Some are more subtle, however, and the person may not realize that he/she is having trouble with things that they never used to think twice about. DO: First you’ll want to assess the extent of the problem. As an example, if you’re curious and don’t want to ask, take a look at a heating bill. Sometimes payments are delinquent or bills aren’t being paid at all. You may also want to flip through their checkbook and look at the math or have them figure out the tip at the restaurant. Try to be encouraging and reassuring if you’re seeing these changes happen. Also, you can often minimize frustration and embarrassment by offering to help in small ways with staying organized. DON’T: What you shouldn’t do in these circumstances is blatantly question the person’s ability to handle the situation at hand, or try to argue with them. Any response that can be interpreted as accusatory or doubting the person’s ability to handle their own affairs only serves to anger and put them on the defensive.